Lawyers for Mexican drug lord Joaquin "El Chapo" Guzman are complaining that his New York City jail conditions are too strict. 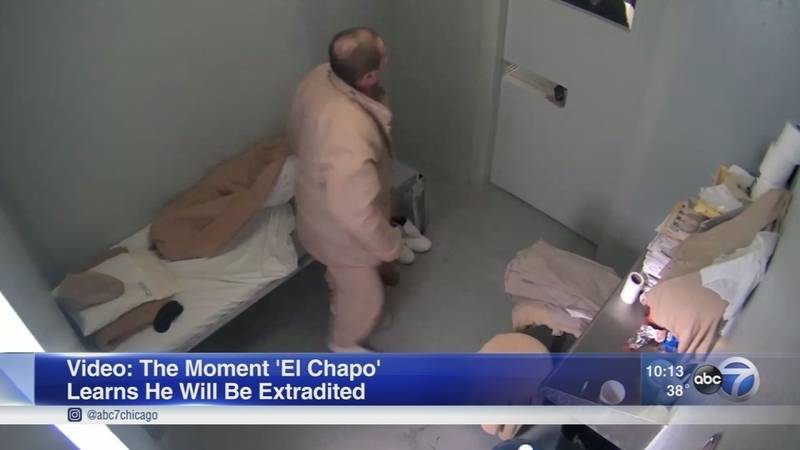 NEW YORK CITY (KTRK) -- Lawyers for Mexican drug lord Joaquin "El Chapo" Guzman are complaining that his New York City jail conditions are too strict. Guzman, who has repeatedly been imprisoned and escaped in Mexico, appeared Friday in a federal court in Brooklyn. He was transported from jail in Lower Manhattan to federal court in downtown Brooklyn in a 12-car caravan that shut down the outbound Brooklyn Bridge for 15 minutes after the Mexican drug lord's lawyers balked at the government plan for him to appear via closed circuit from his cell. 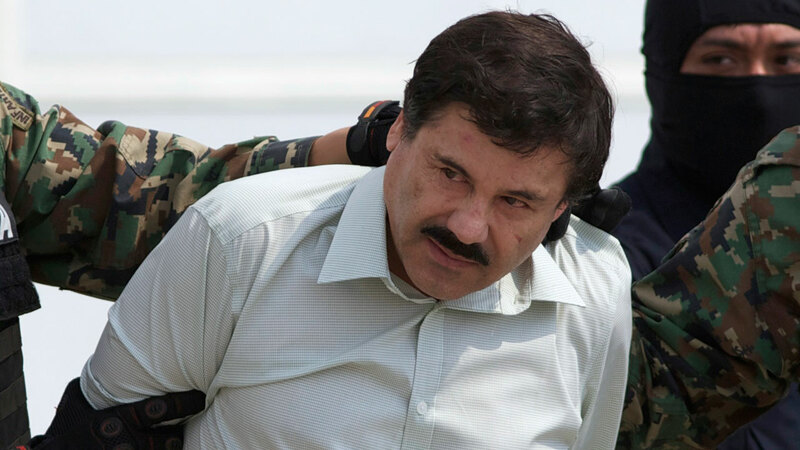 Explore the extradition of Mexican drug lord Joaquin "El Chapo" Guzman in photos. His lawyers said he's on a 23-hour lockdown in a special jail unit. They added that jail officials are not allowing Guzman's common-law wife and Mexican lawyer to visit him. The wife, Emma Coronel, sat in the front of the gallery during Guzman's court appearance. He looked at her and smiled. Guzman's lawyers allege he cannot get a glass of water in prison. The judge declined to weigh in on Guzman's jail conditions. Attorneys questioned Guzman's extradition to New York. They said the paperwork mentioned only the charges brought against him in Texas and California, suggesting that they may seek a venue change. Prosecutors also debated whether Guzman is entitled to a taxpayer funded defense since he has access to "substantial assets." The defense said he has no way to hire a lawyer, but the judge said his family could hire an attorney for him. Guzman has pleaded not guilty to charges of running a massive drug trafficking operation that laundered billions of dollars and oversaw murders and kidnappings.